Stella Mae King Elliott Cook, age 95, of Elk Park, went home to be with the Lord on Tuesday, November 6th, 2018 at Life Care Center of Banner Elk. A native of Carter County, TN, she was a daughter of the late Lorenza and Florence Whitehead King and wife of the late Roby Elliott and Paul Walter Cook. She was also preceded in death by a daughter, Edith Elliott Miller; a son, Eugene "Yogi" Elliott; sisters: Ida Shell, Myrtle Edwards, Lois Shoetak and Della Hughes and brothers: Henry King and John Frank King. Stella worked for many years at Cannon Memorial Hospital as surgical tech. 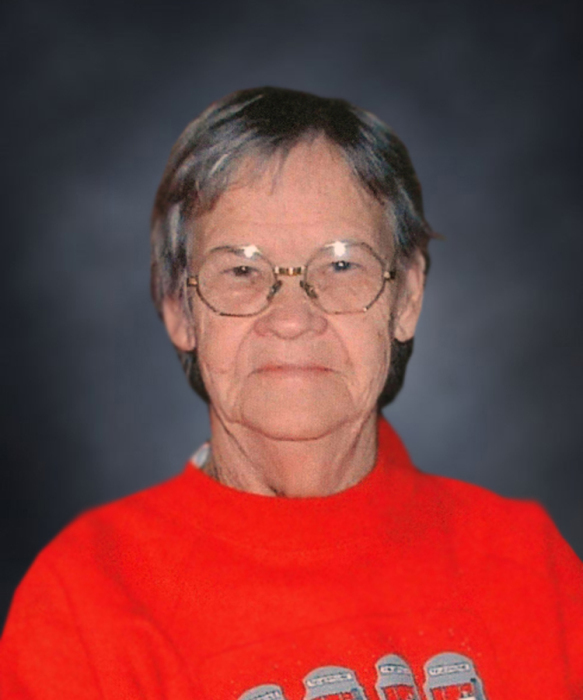 She was a member of the Avery County Rescue Squad Auxiliary and volunteered at Ram's Rack in Newland. She loved to do needlepoint and work word puzzles. Stella and her husband, Paul Cook, were founding members of the Open Door Baptist Church located in Cranberry. Stella was a true mountain woman, born on Upper Shell Creek in Tennessee and she never left the mountains in her entire life of over 95 years. She never traveled outside of three states: TN, NC and VA. Some of her favorite people were the volunteer fireman of Elk Park. She lived next door to the fire station, and they watched over her, making sure that she was okay. Stella was so appreciative that she asked them to be pallbearers at her funeral. Surviving is her son, James "Jay" Elliott and wife, Terry, of Unicoi, TN; step-children: Corky Cook and wife, Freda, Myra Laws and husband, Steve, and Shane Cook, all of Elk Park; a sister, Viola Baker of Shell Creek, TN; five grandchildren; eight great-grandchildren and very special friend, whom she considered family, Pastor Bryan Griffith. Several nieces and nephews also survive. Funeral services will be held at 2 p.m. on Saturday, November 10th at Open Door Baptist Church. Rev. Bryan Griffith will officiate. Burial will follow in the Elk Park Cemetery. The family will receive friends one hour prior to the services at the church. In lieu of flowers memorial donations may be made to Elk Park Volunteer Fire Department at 7771 N US Hwy 19E, Elk Park, NC 28622.